Print colorful, casual photos you can enjoy straight off your inkjet printer, using this fast-drying photo paper. 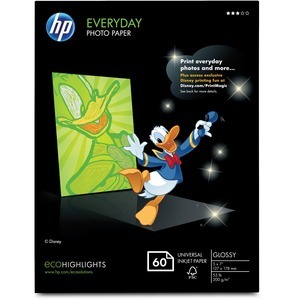 Everyday photo paper delivers 5" x 7" prints that dry quickly for easy handling. Photos appear crisp and vivid when printed on this smooth, glossy finish.